Diphtheria causes an infection and a thick covering in the nose and throat. This can cause breathing problems, paralysis (unable to move), heart failure, and even death. Tetanus (Lockjaw) happens when a wound like cut gets infected with tetanus bacteria (germ) often found in dirt. The bacteria in the wound creates a poison that causes muscles all over the body to spasm (tighten) painfully. This can cause the jaw to "lock" so your child cannot open his mouth or swallow. Tetanus can also lead to death. Pertussis (Whooping Cough) causes very bad coughing spells which make it hard for your child to eat, drink, or breathe. These coughing spells can last for weeks and can lead to pneumonia (lung infection), seizures (convulsions), brain damage, and death. How Does The DTP Vaccine Help? The DTP vaccine is a combination vaccine that works against the three diseases and is made up of diphtheria and tetanus toxoids. It also kills whole cells of the organisms that cause pertussis. It should be noted that most children who get all their shots will are protected against these diseases during their childhood. The risk of getting these diseases will rise up again if children are not immunised. When should your child get vaccinated against DTP? 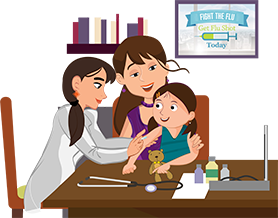 Booster Shot: Your child needs a booster shot to prevent diphtheria and tetanus at 12 years old and every 10 years afterwards. What can you do to lessen fever and pain after your child is vaccinated? Give your child an aspirin-free pain reliever. This is especially important if your child has ever had a seizure. It is also very important if a parent, brother, or sister has ever had a seizure. Ask your child's caregiver how much pain reliever to give your child and how often to give it. Call your child's caregiver if your child is crying non-stop.